Get in the spirit this Halloween for a dark tale just in time for a few screams to set the mood for trick or treating. Accompanied by a ghoulish selection of music, the narrator is sure to have you locking the doors and checking under the beds. 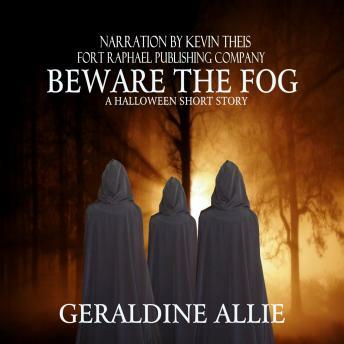 Presented by Fort Raphael Publishing Company, "Beware The Fog"
Granddad always said, "Beware of the fog." ........ Once crossed, some lines can never be uncrossed. What would you do in a desperate act? Townsfolk of the town of Kip Witch find out that sometimes once certain choices are made, you can never go home. Sometimes once something gets a hold on you, it will never let go. "Beware the Fog".... A Halloween short story.